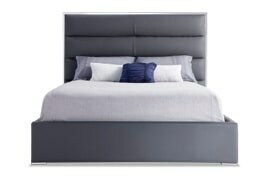 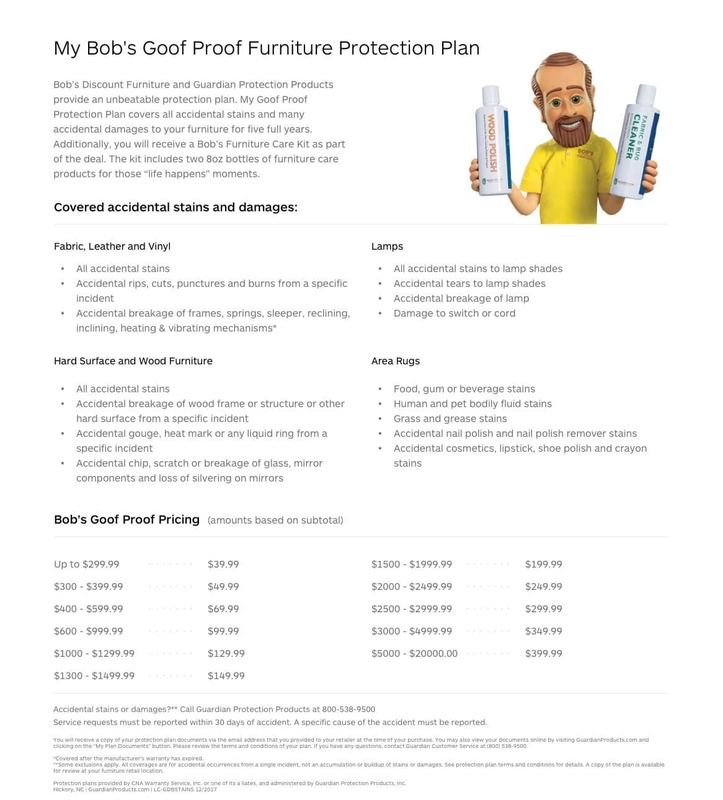 My Platinum Upholstered Bed is comfy and contemporary! 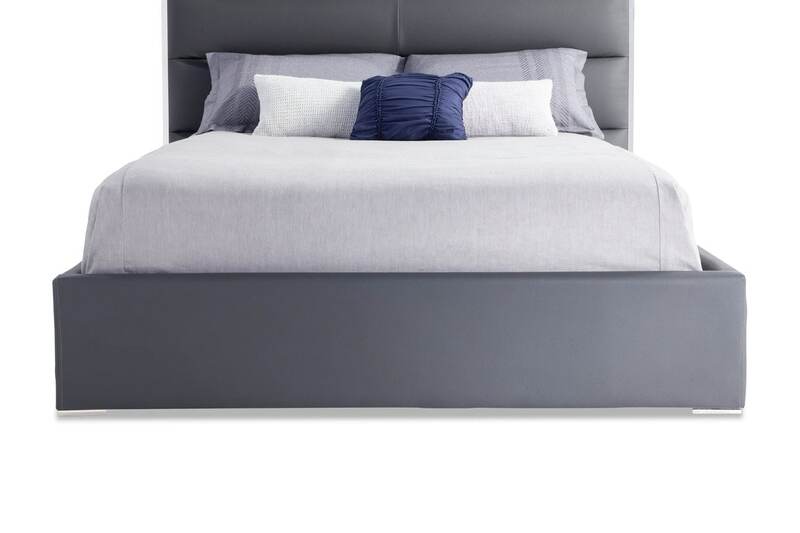 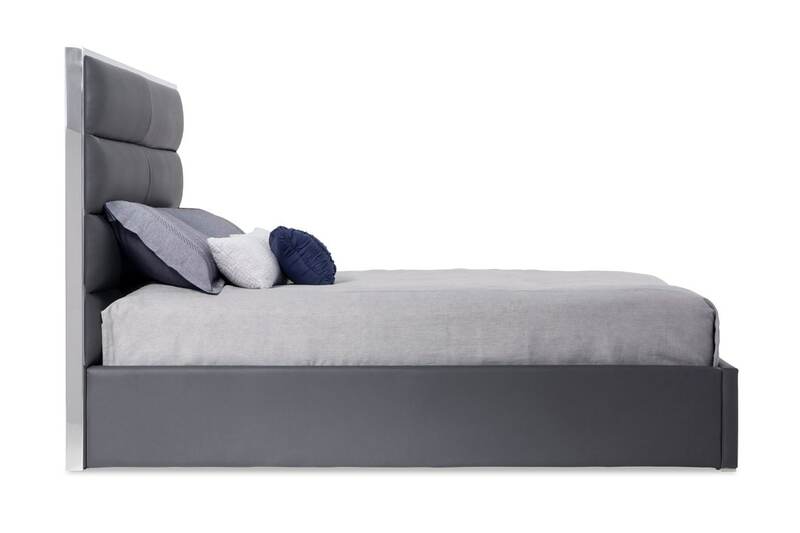 Clean lines and plush gray fabric make this eye-catching bed a focal point in any modern room. 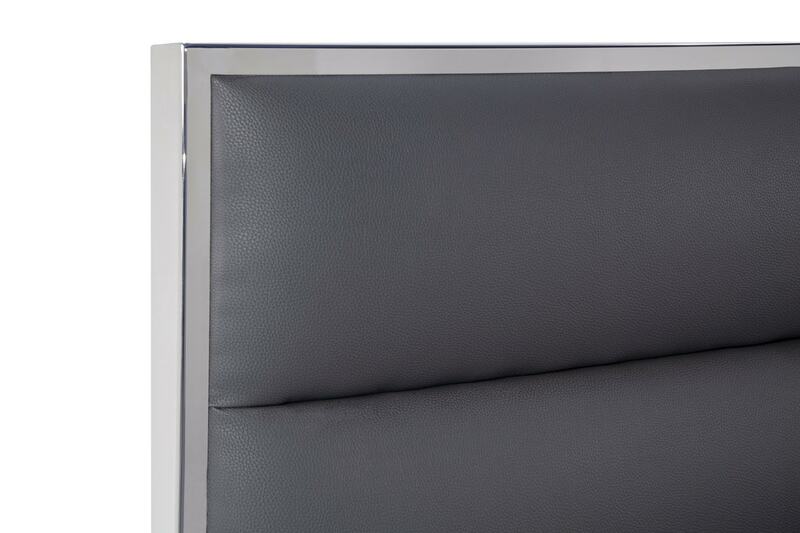 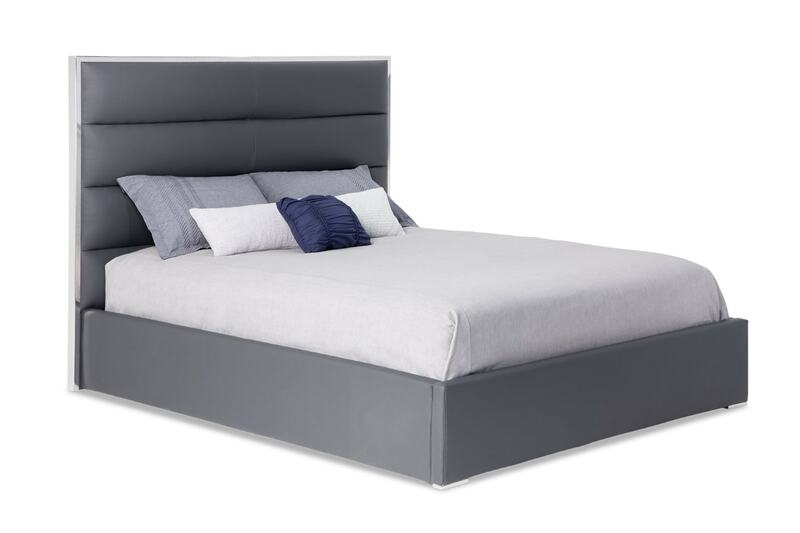 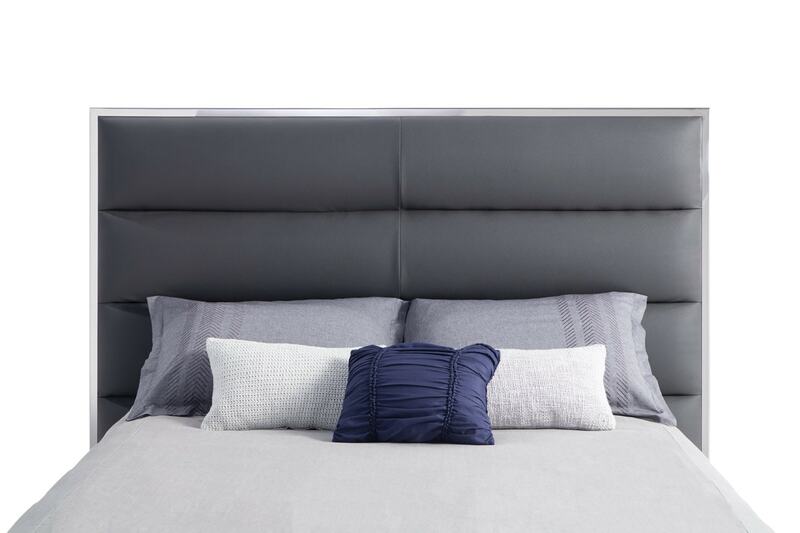 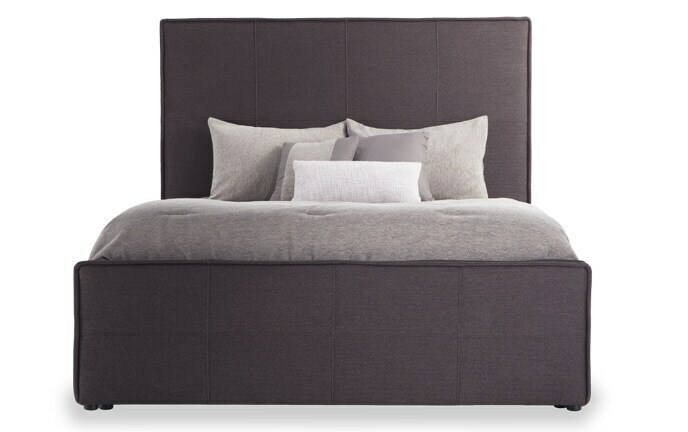 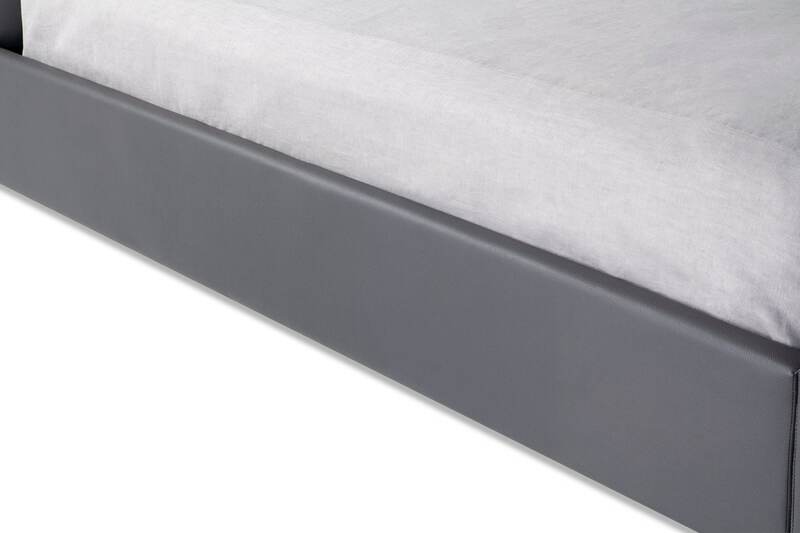 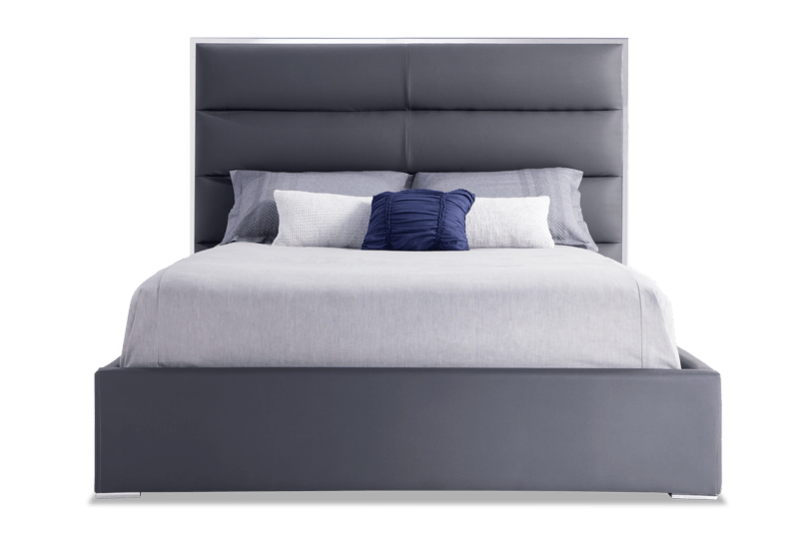 Sleek metal accents enhance the design on the bed feet and headboard trim. 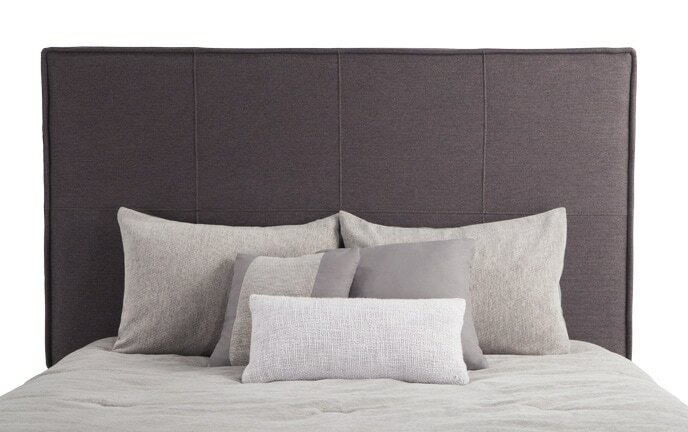 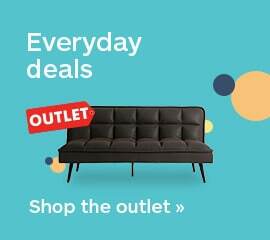 The padded upholstered headboard is especially cozy for late night reading!